What are the most popular social networks in 2019? According to Statista.com that honor goes to, the now monolithic, Facebook with 2.2 billion active users as of January 2019. 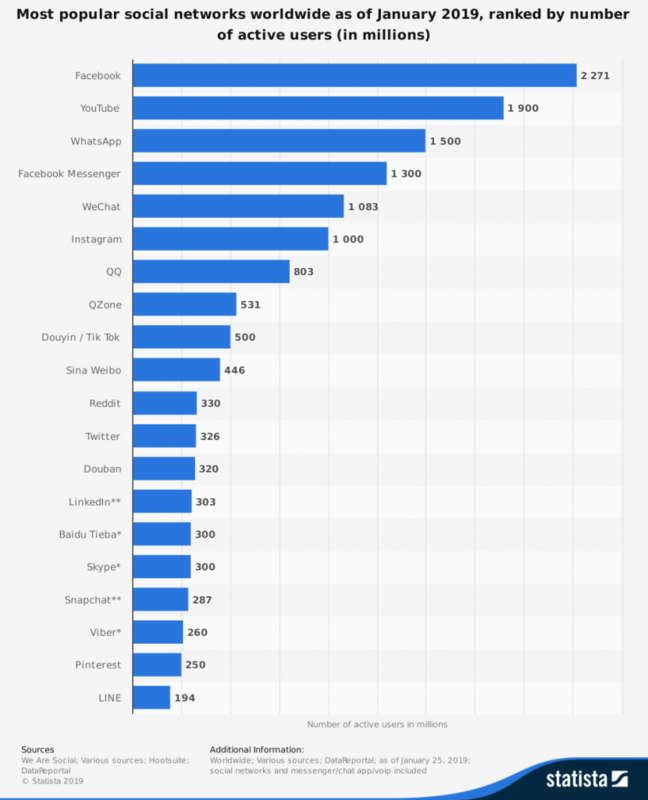 The rest of the top 5 sites include YouTube, WhatsApp, FacebookMessenger, and WeChat. That’s right. Facebook has two properties in the top 5 on the list. The graphic below, courtesy of Statista.com, provides a look at the numbers. Facebook’s 2.27 billion active users is 371 million more users than runner up YouTube which comes in at a healthy 1.9 billion active users. The top 6 sites are all over the 1 billion user mark with Instagram making the cut at an even 1 billion active users to date. What Drives Users to Social Networks? From the onset of blogging and the citizen journalism wave to 2019 and our seemingly permanent move to mobile devices as our places to communicate, social networks have grown in importance and in scope. With over 2 billion social network users and counting, today’s society must come to grips with reality. What is real online, what is fake, what is worth consuming, and what will be the next great social network. Machine learning, augmented reality, artificial intelligence, big data sets, the Internet of things (IoT), and the smart speaker revolution. 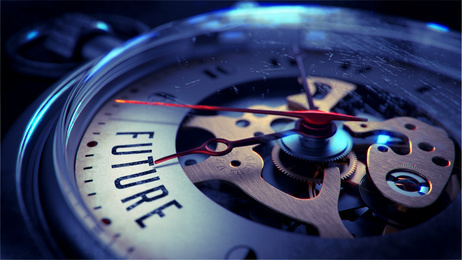 Where we are going may be a world beyond our wildest dreams and a world that will need to be monitored and regulated for the safety of us all.